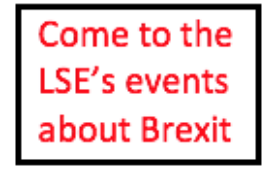 In the run-up to the referendum, the LSE arranged a series of expert hearings within its own Commission on the Future of Britain in Europe. The first four hearings dealt with important policy issues : migration, employment regulation, financial integration and, finally, higher education and research. A new series of articles in The Political Quarterly draws on these discussions that took place between November 2015 and January 2016. The authors were the conveners of the panels and have research interests in these areas. In her introduction to the series, Waltraud Schelkle, writes that these articles suggest that the political dynamic of the negotiations has been favourable for the Leave campaign because anybody promising ‘a new settlement’ for the UK in a reformed EU runs into an inevitable dilemma. The claim that a new settlement is needed suggests that there has been a failure to defend UK interests effectively in the past. But this claim both reflects adversely on the potential achievements of the government now, which has after all been in power previously while major reforms occurred, and understates the ongoing effectiveness of the UK in the EU’s regular decision-making processes. The UK civil service has a good record for signalling red lines and fighting competently for its priorities. The UK has been rather successful in a number of areas. This simply has not left many wishes unfulfilled, except in exceptionally hard policy areas, like deterrence of immigrants, to which no civilized and law-abiding government has found humane solutions. The modest achievements of the present negotiations reflect exactly this state of affairs. David Cameron’s campaign to stay in the EU may thus fall victim to the UK’s past successes. 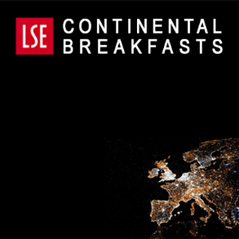 Waltraud Schelkle is Associate Professor of Political Economy at the European Institute of the LSE. She is presently working on a book about “The political economy of monetary solidarity: understanding the experiment of the euro” (under contract with OUP). Turn out or else: do referendum campaigns actually change voters’ minds?